​21000 W. Ten Mile Rd. For more information about our meetings, go to our "meetings" page. Please make plans to attend our next meeting, more information is posted on our meetings page. Note: The IAMD Meetings will be in the Buell Management Building in M218 (Atrium level 2, Building #5 on map above - , use parking lots "C" or "D"). Don Beyer is an award winning game designer and author. Don is the creative lead and founding partner of SDR Games whose first published strategy game Bootleggers in 2004 with Eagle Games, has been reprinted, expanded, and continues to break up gaming groups to this day. Don has designed children’s games Kayak Chaos and the award winning Alphabet Woods published through SimplyFun. Don will share his experience formulating elements of the games, prototypes for game pieces, and how the products are tested. Mr. Beyer will also talk about pitching game ideas to a publisher and running a Kickstarter campaign. Suggestions? Comments? We are always on the "lookout" for new speakers and programs, if you have any suggestions for presentations, or on what kind of material you are interested in, please let us know. Please check below for other events, courses and interesting information. If you have an idea, plan it. If you make a plan, build it. If you build a product, sell it. If you've sold it, spend wisely. The USPTO has a steady stream of informative events regarding Intellectual Property, such as IP Basics, Copyright Basics, Trademark Tuesdays and Patent Wednesdays. Please click the link below and review the Detroit, MI column to see the event times and dates. All events are FREE to attend and open to the public; however, space is usually limited. 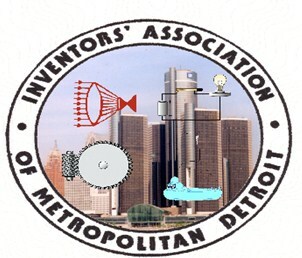 ​We are pleased to announce, registration for the 2019 Michigan Inventors Coalition is now open! The 7th MIC Expo will be August 29th, again in Lansing. Be sure to secure your tickets, booths are available but limited, register today before they sell out. We are hoping to offer an opportunity for new entrepreneurs to pitch their products in upcoming meetings. This will not be a contest or formal review board, but a chance to try out your pitch in a friendly, informal venue. If you are interested in pitching your product, please email Cathy at cphillips@ltu.edu for more information. The IAMD would like to gather information on what types of products our members are developing. This information will help us to plan programming. Please let us know if you products are in kitchen, automotive, IT (including software), outdoor and recreation, beauty, Send your product category type to cphillips@ltu.edu.